The world in which we live in is now filled with technology. Perhaps, we cannot even imagine our lives without being connected to one another. But, what if you had no choice but to give up the comforts of technology and live in the 80’s era today? This is what goes on in the small town of Green Bank, located in West Virginia. Green Bank falls within the National Radio Quiet Zone. It is possibly one of the quietest places in the world, where you won’t find any cell phone reception, no Wi-Fi, not even a radio or a television. 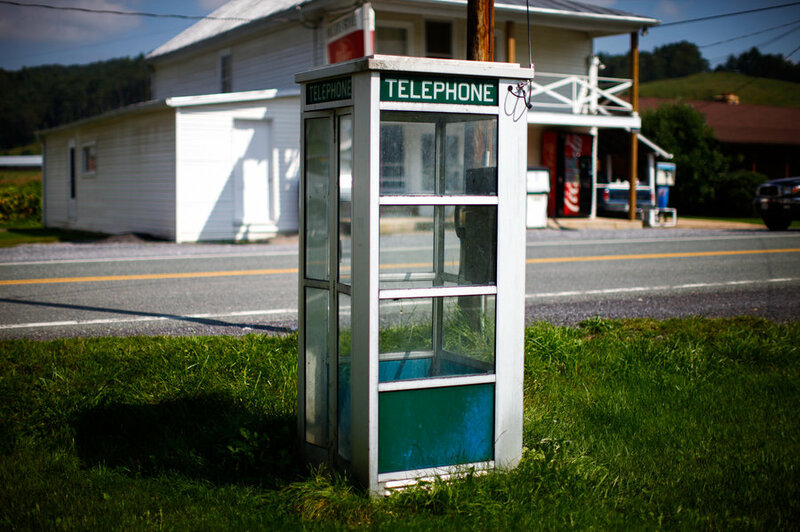 However, this town is not technologically backward and here’s why. 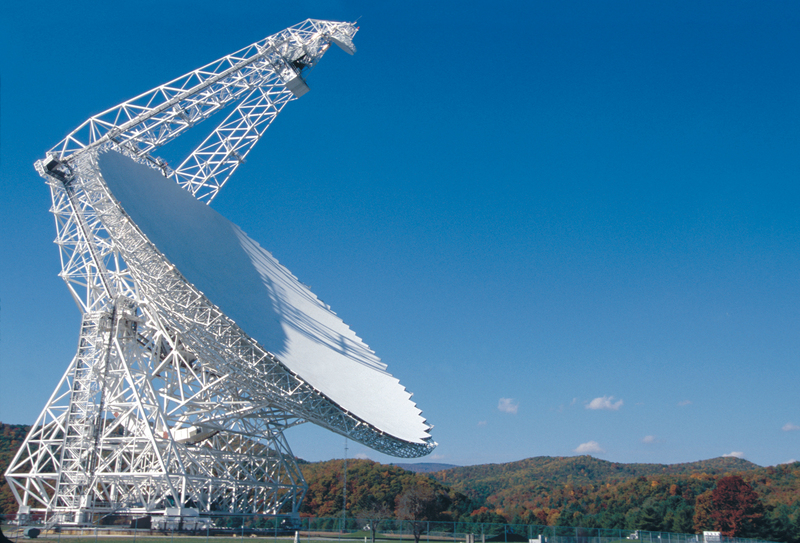 The reason why Green Bank is cut off from the world in terms of Internet or any other digital form of communication, is because it is home to the world’s largest fully steerable radio telescope on earth – the Robert C. Byrd Green Bank Telescope (GBT),which is operated by the National Radio Astronomy Observatory. The GBT is the reason this town is electromagnetically silent. Radio telescopes work by identifying electromagnetic waves that come from distant galaxies. These signs are so faint that the slightest emission of radio waves from electronic gadgets can be in a conflict with the readings of the radio telescopes. For this reason, all cell phones, Wi-Fi, radio and other communication devices are banned. There are no cell phone towers for miles around; no music plays on the radio or soap performances on the television. Even petrol cars are not allowed because gasoline engines use spark plugs to ignite the fuel-air mixture, and electric sparks produce electromagnetic waves. Almost all types of radio transmissions and individual electronic devices are banned here so that the powerful Green Bank Radio Telescopes can work without disturbance. So, how is the lifestyle there? With a population of just over 150, this tech-free life is somewhat a bliss. People are able to interact on a more personal level, without the existence of various technological devices. If one needs to use a phone, the now vintage, pay phone is readily available. However, the lack of awareness about modern technology could also have its downside. Some of the residents are not even aware of the technological advances elsewhere in the world, after living under the shadow of the giant telescope for so long. Due to an electromagnetic free environment, people all around the world are slowly taking up residence here. Especially people suffering from electromagnetic hypersensitivity, a condition unrecognized by the scientific community in which exposure to electromagnetic fields is thought to trigger symptoms such as headache, fatigue, stress, sleep disturbances, rashes and muscle pain. Watch the documentary below and be astounded by their mobile-free world. Would you be able to survive in such a world? Let us know your thoughts in the comments, below. I m crazy about all the latest technologies, gadgets and surfing the internet but some time i think about how these things affect our everyday life and so i can live without all these stuff easily.